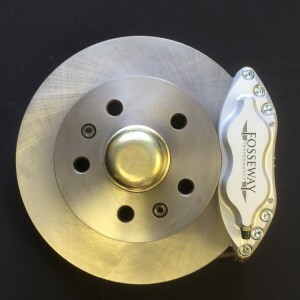 The Fosseway Performance VW Late Bay brake upgrade is a simple conversion to allow the use of our lightweight four pot caliper in place of the original cast iron two pot unit. This kit includes everything required and offers the most economical way to transform the way your bus feels and stops. 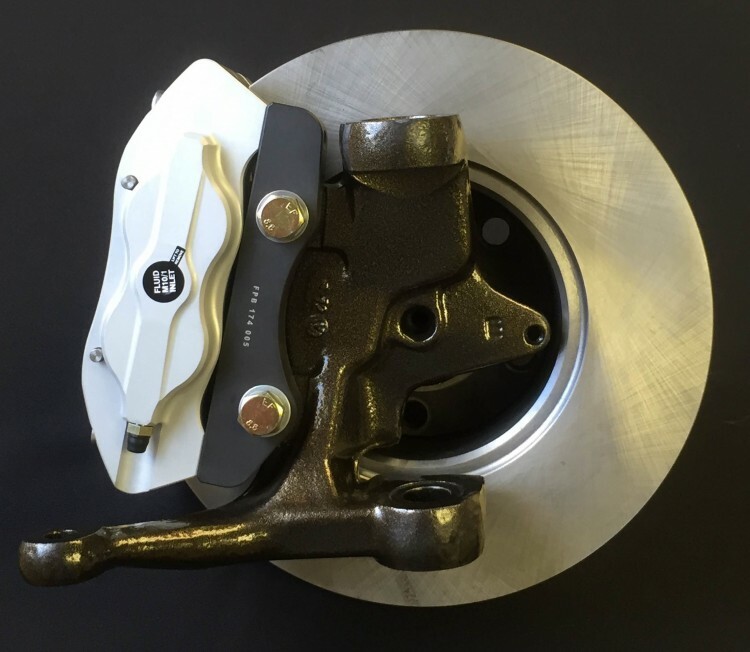 The modern caliper is designed to be used with the standard brake discs to reduce cost and simplify installation and will fit inside the original 14″ steel wheels and all popular 15″ alloy wheels. The pad area is increased by approximately 30% and the modern 4 piston design delivers a progressive and reassuring increase in braking, ideal if you have an uprated engine or a camper conversion. Uprated discs are also available – See our page on cross drilling, dimpling and slotting by clicking here. The light weight aluminium 6082 T6 billet caliper also improves wheel control by reducing your cars un-sprung weight. All our calipers are 100% compatible with your existing hydraulic system and maybe fitted without any permanent modification.